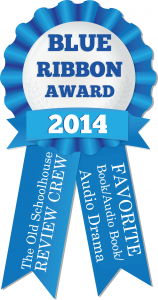 Get ready for a swashbuckling adventure on the high seas! 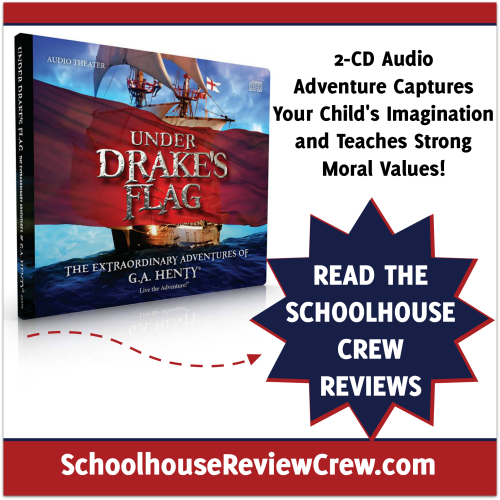 Members of the Schoolhouse Review Crew recently had the opportunity to review the audio drama, Under Drake’s Flag from Heirloom Audio Productions. Based on the novel by G.A. Henty, the exciting, fast-paced dramatization comes in a two-CD set providing two hours of entertainment for ages six and up. 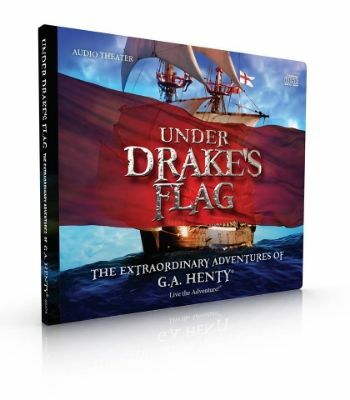 Henty’s stories usually have a strong focus on Christian themes with an emphasis on strong morals and values, and Under Drake’s Flag is no exception. Sail with Ned and his friend Gerald as they journey on the sea with Sir Francis Drake, one of the earliest pirates. Listen as through their trials, struggles, and adventures, the two boys grow to become men with a firm faith and a determination to hold onto what they believe, even in the face of danger. The CD set also comes with a study guide download that includes questions for discussion, vocabulary, and a Bible study linked to the story. Each chapter in the story is numbered on the CD, making it easy for parents to listen to the story and stop it at their convenience. With important historical concepts such as the Spanish Inquisition as a backdrop, the Christian radio theater drama brings Henty’s characters to life with a talented cast of British actors and amazing sound effects. If you are looking for a way to liven up your history lessons, or just want some wholesome family entertainment, this audio recording meets that need.